Did I say this was going to be a good ride? Scratch that. This is going to be bombastically awesome(*firmly restrains urge to add tens of thousands of screencaps). Healer is definitely an interesting fella. Talk about self-imposed isolation. To only have THREE contacts on your phone (one of whom technically doesn’t count as a contact) is utterly bizarre. He’s not one of those I-have-no-emotions-until-a-pretty-girl-awakens-them sort of male lead, but he’s definitely all for the job. No ethics, no interest in justice, he just wants to get his pay and get out of the world as soon as possible. Something had to have happened to foster this incredible lack of caring in him, (I mean this is dramaland, he can’t have been born that way à la Doctor Frost, it wouldn’t fit this writer’s mold) and I look forward to seeing just what that traumatic event was. He is quite ruthlessly efficient though, and I mean RUTHLESS. Like seriously, poor Chae Yeong Shim, it’s bad enough knowing that you’re being followed, but getting your stuff stolen and subsequently attacked in the bathroom by a weirdo who wants your nail clippings? 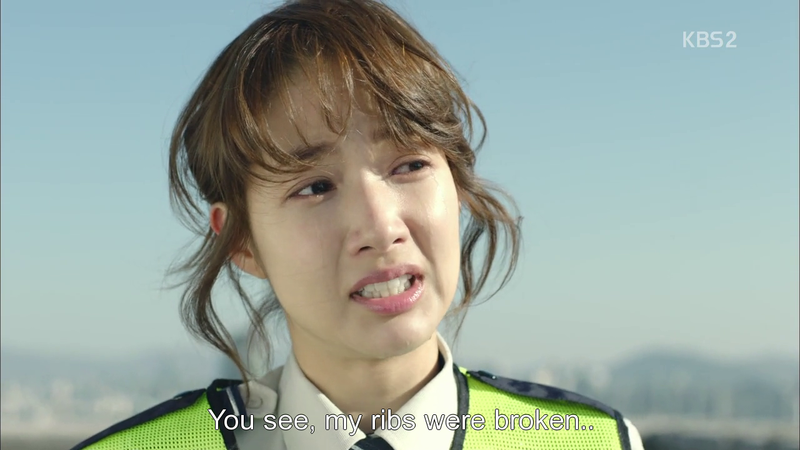 That’s the stuff of Kdrama villainy, not heroism. But Healer doesn’t appear to be your average hero either. Why on earth is he called Healer to behind with? 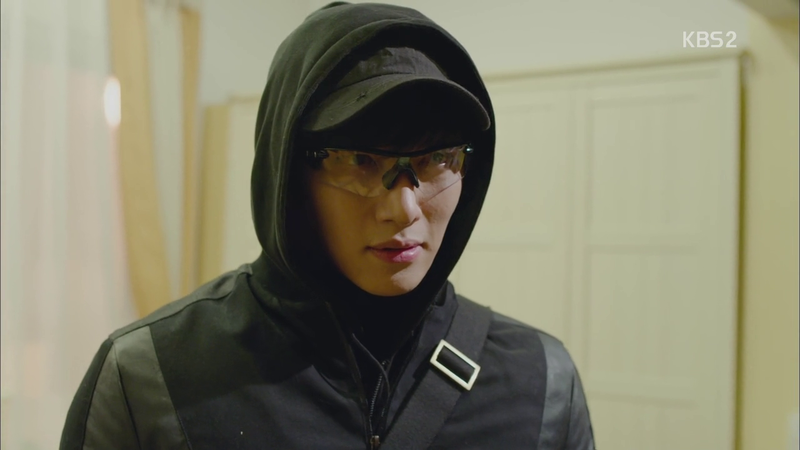 I was expecting a vigilante who fought for justice and sought to heal the world (forgive the bad pun) but umm…yeah…not too sure of this fella’s motivations (or lack thereof), though Ji Chang Wook is a babe. Kim Moon Ho remains an enigma (and a major cutie). 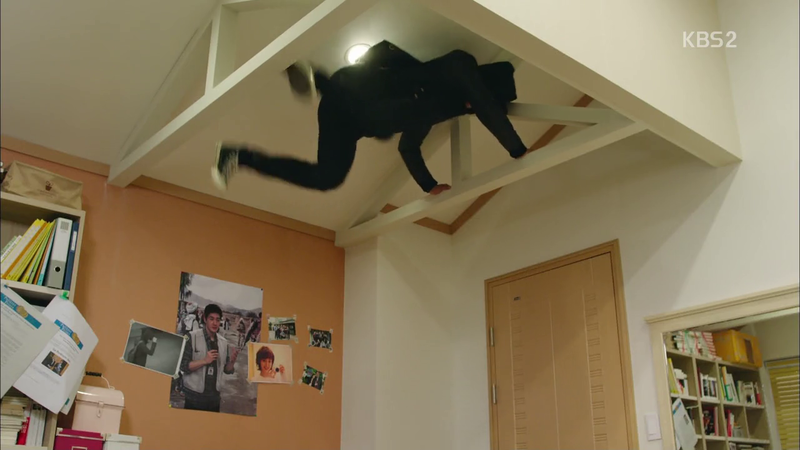 When Director Kang started saying that he was addicted to fame, I honestly started out of my seat. I mean, what? You can’t just have this pretty babe turn out to be fame-hungry! Then he interjets and I breathed a sigh of relief. This man is most certainly not doing what he does for the money. He was moved by the plight of the burned worker earlier and definitely believes in what he’s doing, but are his motives purely altruistic? He seems well aware of the downside of media, in the almost Dal Po-like answer, he gave. But there’s definitely something going on with him and we have yet to see. I’m honestly curious as to whether he has a thing for his sister-in-law, Myung Hee. He might just view her as a mother, seeing how vast the age-gap is, but umm…I dunno, asking your sister-in-law to leave her husband (his brother for goodness sake) and move to Seoul with him, is a little…I’m surprised his brother didn’t flip out. There’s definitely no love lost between the two brothers though. Both play the word game very well, dancing around what they really think of the other and putting up a façade and each know is fake. I was super flabbergasted at the sudden reveal that KMH actually spies on his brother (in a very, clever way as well, though how you rip pages that elaborately is beyond me). That escalated quite quickly. I’m not sure whether this is resentment towards his brother for the lack of care he was shown as a child (he does keep thinking back to that day in the truck) or because he has a thing for his sister-in-law or because of some other incident that we have yet to see. Whatever it is, I’m wondering whether it has anything to do with the Socrates-like tale/study he mentioned to his sister-in-law of those sleeping people trapped in the room. It’s definitely a metaphor that has relevance to him. Is he one that woke up? But who are the others trapped in the room? What is the room? And is there really any way out? So many questions! 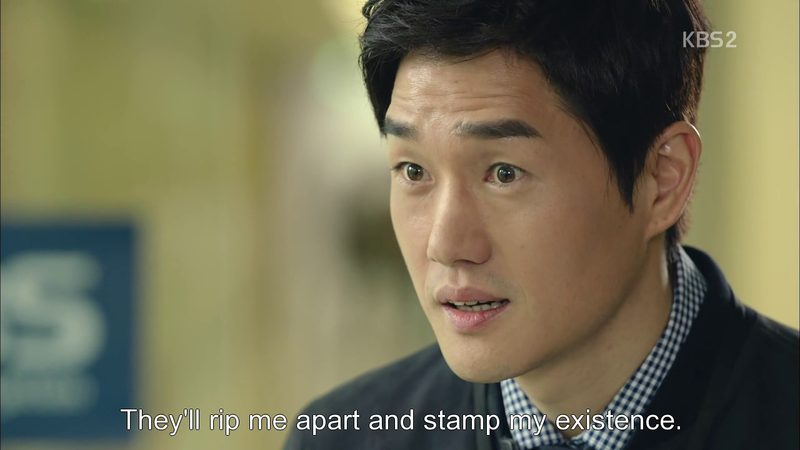 And did I mention how well Yoo Ji Tae emotes? Gosh is he good! What I loved about Faith, and about Healer, and essentially any tale that draws my fancy is a good blend of humour within the story. 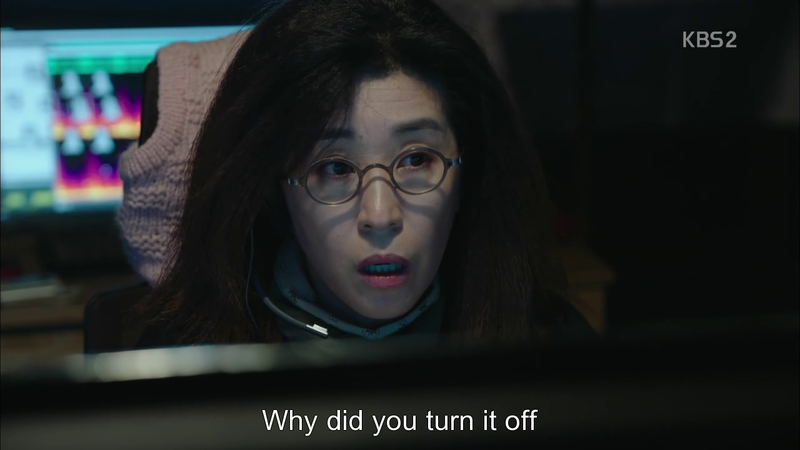 Rather than cutting to side characters who serve as comedic outposts, designed to bring out the lols (however forced) whenever the camera turns on them (like that bookstore owner in YFAS or Go Hae Young’s inquisitive colleagues, and the rather annoying whats-her-face–who-lives-to-break-marriages in My Secret Hotel), I prefer moments of hilarity well integrated into the story itself, moments that also serve to highlight our characters. And like Faith (Dae-man Deol-bae’s and the others’ reactions to Choi Young’s interactions with Eun Soo were ❤ ), this show delivers well on those. 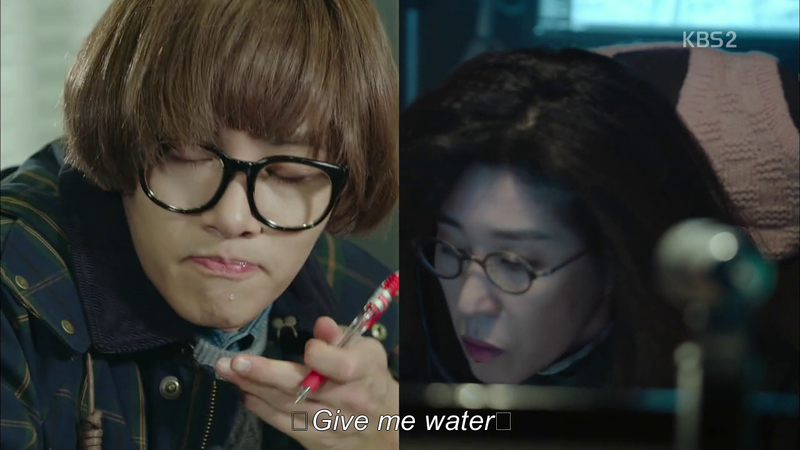 I loved it when the music suddenly blared on in the café and Healer and Hacker Ahjumma suddenly choked. The juxtaposition of their stony faces with Chae Yeong Shim and her father’s hilarious dancing was comedic gold (as was that awful wig Healer was wearing). 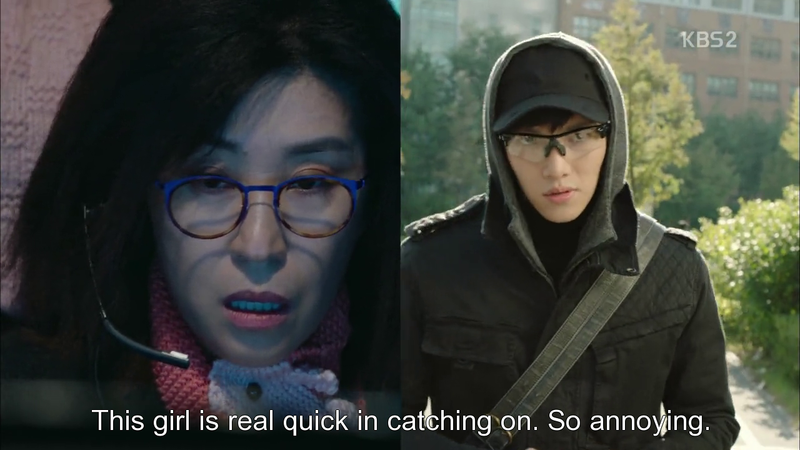 I can’t help but wonder how CYS didn’t recognize Healer when he purposefully bumped into her to place that bug in her laptop. It’s not like he was dressed any differently than when he scared the wits out of her earlier, and those glasses are distinctive, but for some reason, she doesn’t recognize him. How odd. I like how quick things are in this dramaverse. No long delays, the PCR’s all done and the analysis is out with the two being a match. It’s interesting that the analyst says that there’s a high chance of them being mother and daughter. 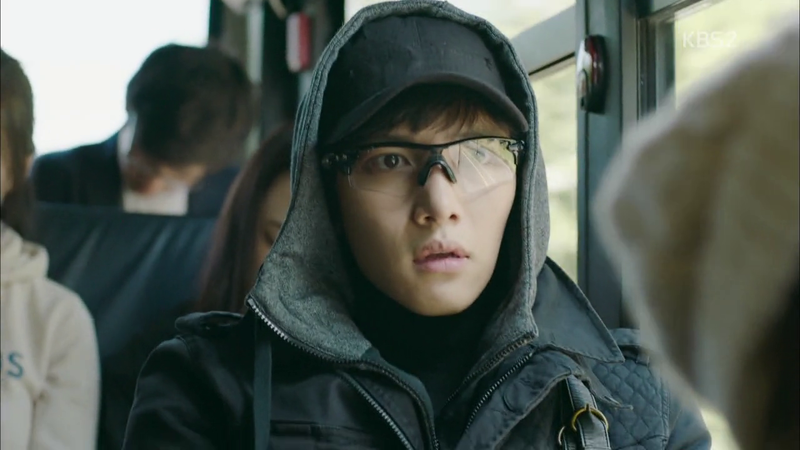 Is this perhaps the ‘dead’ Ji Han that Myung Hee Noona and Evil Brother were mourning? So she’s not dead? If so, why is it that only KMH seems to know of this? Surely the parents (or parent in this case) would want to know? Something else I loved about Faith were the connection between characters besides our principal leads. The loyalty and friendship between King Gongmin and Choi Young, and Eun Soo and Princess No Guk, the trust and respect between Choi Young and No Guk, Courtlady Choi and Eun Soo, the Woodalchi and everyone was honestly so beautiful to see. I also like that we got a really beautiful female-female interaction in this episode. 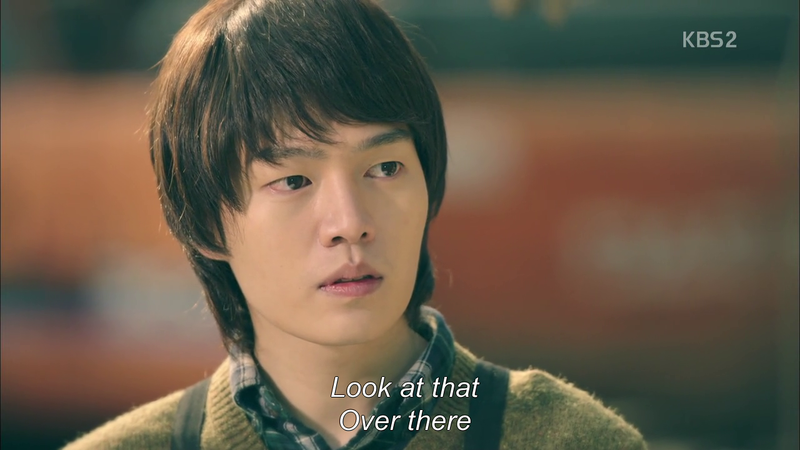 I find that it’s a rarity in Kdramas for some reason. We get bromance alright, but the reverse often doesn’t turn up. That moment of bonding between Yeong Shim and the poor girl about to jump off the roof was really heartfelt and moving. I like how warm-hearted this heroine is. She’s not someone who has fallen under the brunt of what life has dealt her. In fact, looking at her earlier this episode and in the previous one, you wouldn’t have been able to tell that depth of just what she’d gone through. And she’s right, most people don’t remember much of their childhood, which is why the fact that she does is all the more horrifying, seeing just how bad the pain she went through must have been. 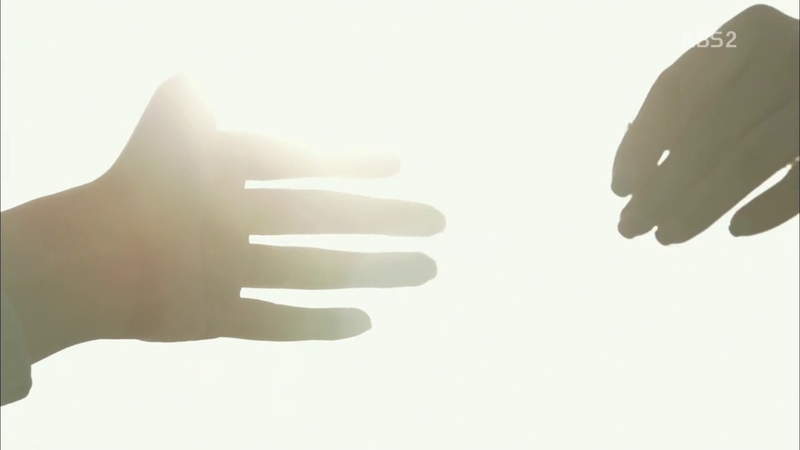 This moment was honestly so poignant and caring, it took my breath away. And it sure turned Healer’s view of her upside-down! It’s interesting to see such how affected he was by it, and his decision to turn off the feed was definitely a divergence from what we know to be his character. Interesting. There really appears to have been something in his past that turned him uncaring. I also love a heroine with a brain and thankfully this one is quite quick on the uptake. Sure helps when you were brought up surrounded by well-meaning ex-cons! I love this family dynamic already. 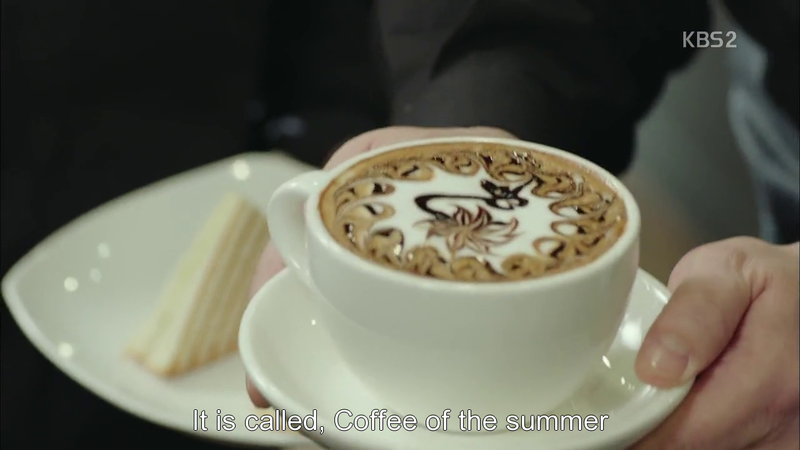 Not only is it unusual but it’s also ridiculously warm to see in action what with them feeding her, and her adoptive father showing off the prettiest cup of coffee I’ve seen in a while, and the poor ex-pickpocket covering his ears at their singing. I love them already. 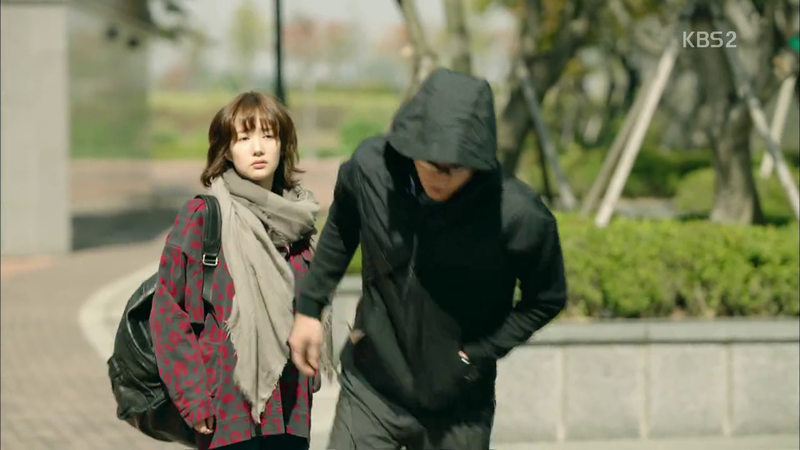 Healer’s reaction to her sudden withdrawal (and her putting on that hat) was hilarious as well. He honestly does that WTF face so well! Once again, this sure do move quickly in this dramaverse. KMH sheds a tear while watching Yeong Shim speak of her childhood. Empathy, or something more? He reminisces once more, this time of seeing his brother wistfully staring at Myung Hee, who was dating her deceased/not deceased daughter’s father at the time (who also appears to be deceased). 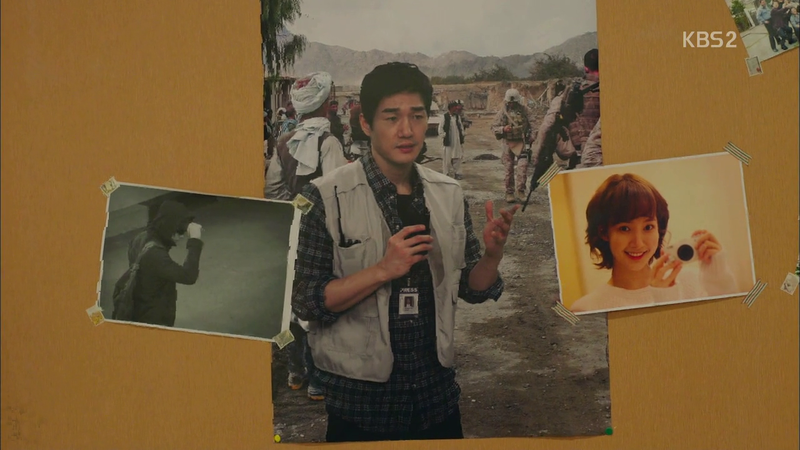 Please don’t tell me his brother killed Myunghee’s husband so he could marry her or something. Either way KMH, definitely doesn’t have anything shady in mind for CYS. I mean, he wants to know her dreams, that’s enough for me to dismiss any nefarious intentions (not that chances were high that KMH had any to begin with). What I didn’t expect though was the sudden death, and Healer’s advancement into a more serious wanted list (I love how he was so nonchalant about the fact that he was on the wanted list to begin with). I spy spy-shenanigans in the future! Or you know, right now. Love how Healer just pulled a Spidey. 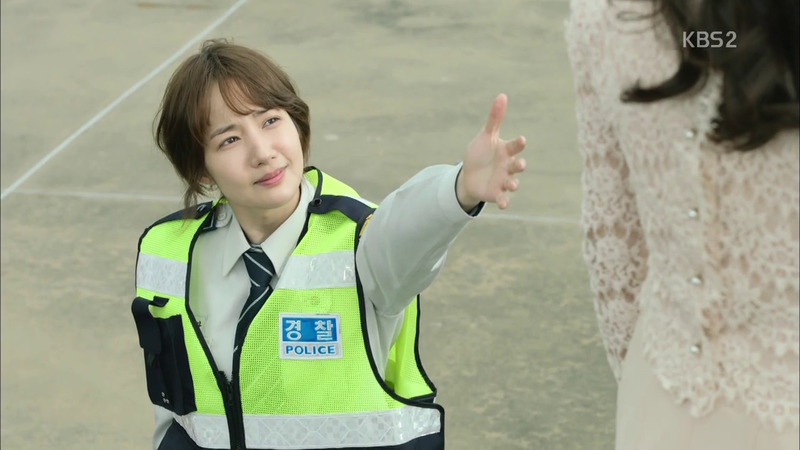 This is getting really, really good what with all the plot threads we have running loose, from Evil Brother to the cyber officer who’s been tailing Healer to Healer’s own past, to YS’s past to Healer sudden interest in staying close to Yeong Shim. I loved the ending of this episode, with our three major player so clearly in place both physically, situationally, metaphorically and…decorationally. 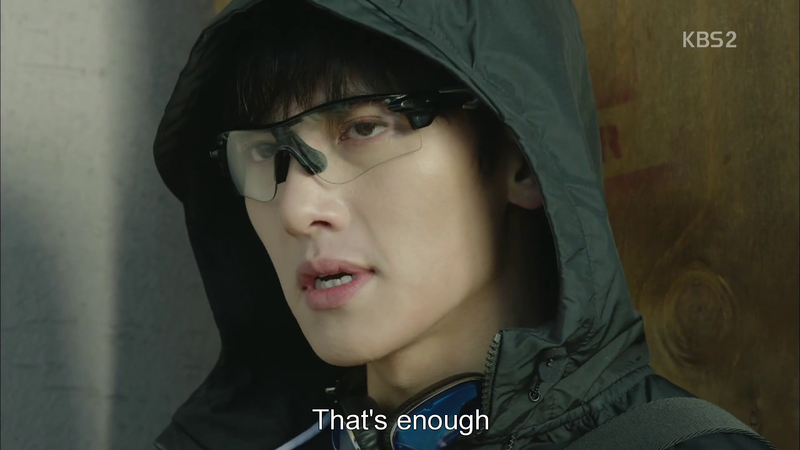 I am honestly so pumped for how all these threads are going to be resolved (plus I’ve no doubt that more threads are going to be added seeing how Healer was holding Yeong Shim in that ep 3 preview). This show has me and I’m super excited to see what more it has in store, and worried that the sudden turnabouts in quality and plot that have occurred in SO MANY dramas (that all started out so promisingly) this year won’t happen to it. On the other hand, it’s living through awful shows like those that make it all the more satisfying when you find utter perfection. Liar Game has blown my mind and stole my heart and soul this year. 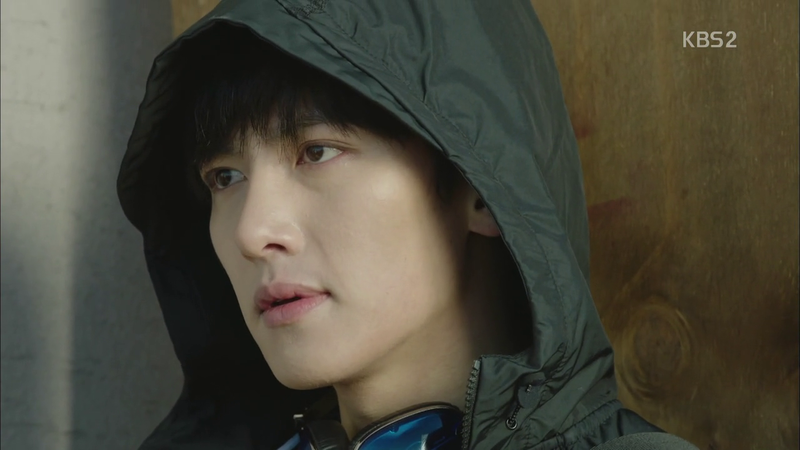 Pinocchio was definitely on the way until these past two episodes, and Healer is straight en route to my heart. And I’m really hoping it gets there!